WELCOME TO THE PARTY, EVERYONE!! Thanks to all the partygoers!! There are so many many wonderful ideas. Can I tell you it is excruciatingly hard to pick out features for this party because EVERYONE needs to be featured. I know how much thought (and work) goes into each blog post! We try to pin several links because every link deserves some love. Do you agree? Let's pin together!! Pin the person ahead of you in the party. 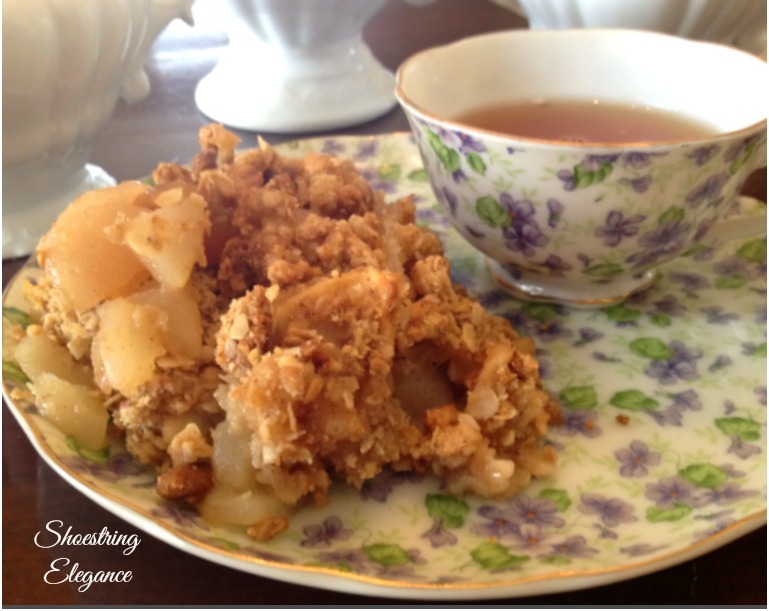 Theresa's apple and pear crisp that's also gluten-free. Nice. 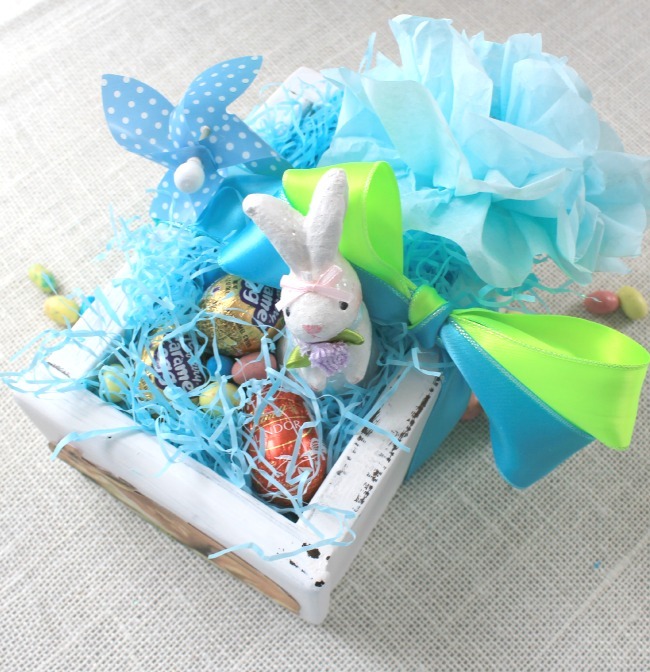 Linda made a Bunny Basket out of an old pine drawer salvaged from the side of the road. Follow our social media.. much appreciated. If you have nothing new to share then we encourage you to share some of your last year's Spring posts, too! Please link up -minded crafts, recipes, projects and Inspirations! And, of course, family friendly. Thanks so much. Theresa has some wonderful pics for features. Here are her pics. 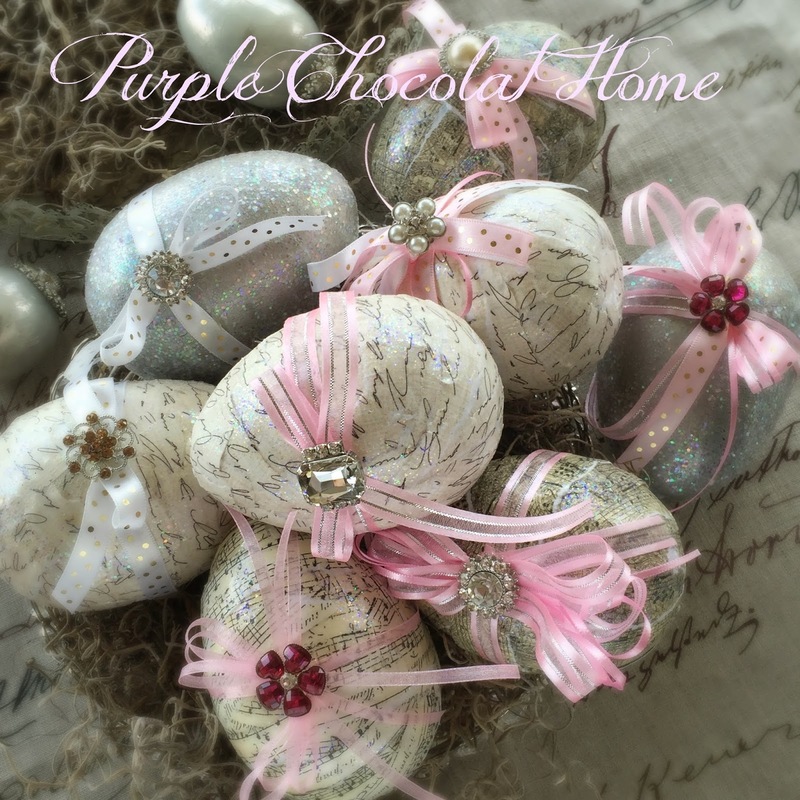 Purple Chocolat Home made these gorgeous eggs. Kiku Corner made some delicious Banana chocolate chip bread. Yummy. Create with Joy made an awesome card BELIEVE. beautiful! 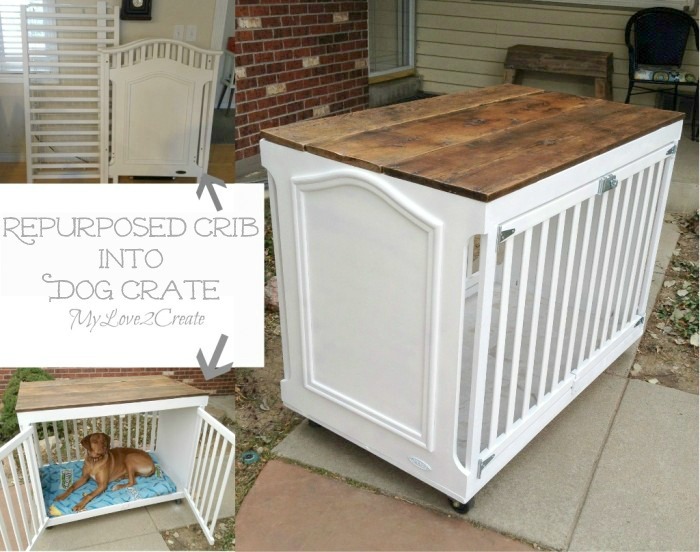 My Love 2 Create transformed a baby crib into a dog crate!!! 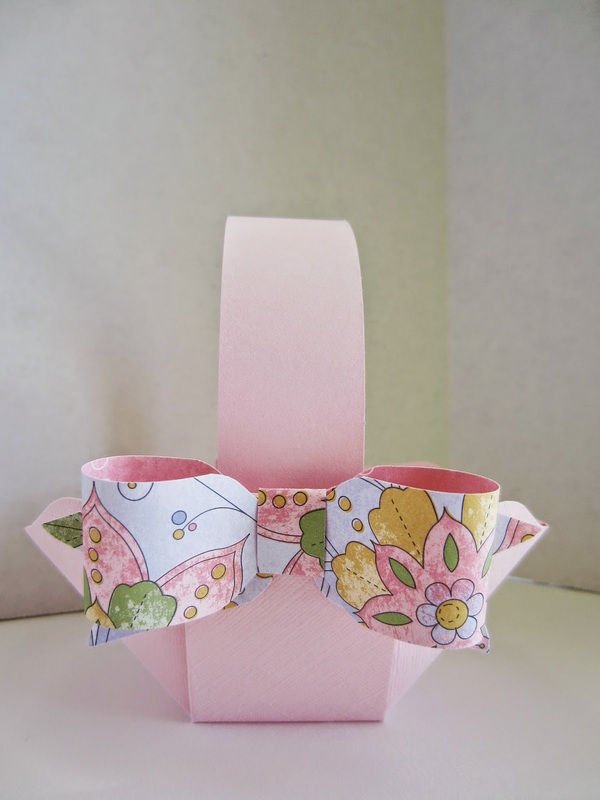 Paper Seedlings made the cutest Bow Basket!! 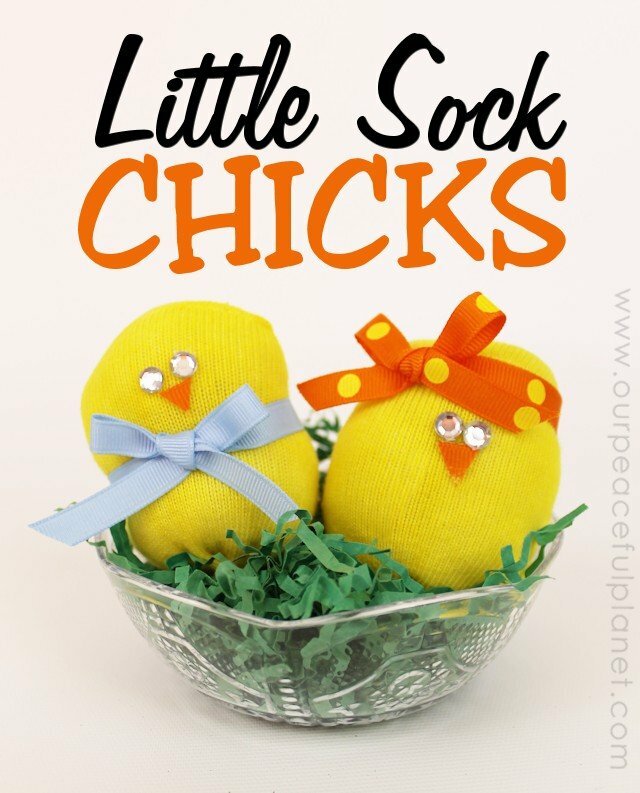 These Sock Chicks are nothing to sneeze at either by Our Peaceful Planet. Cute. 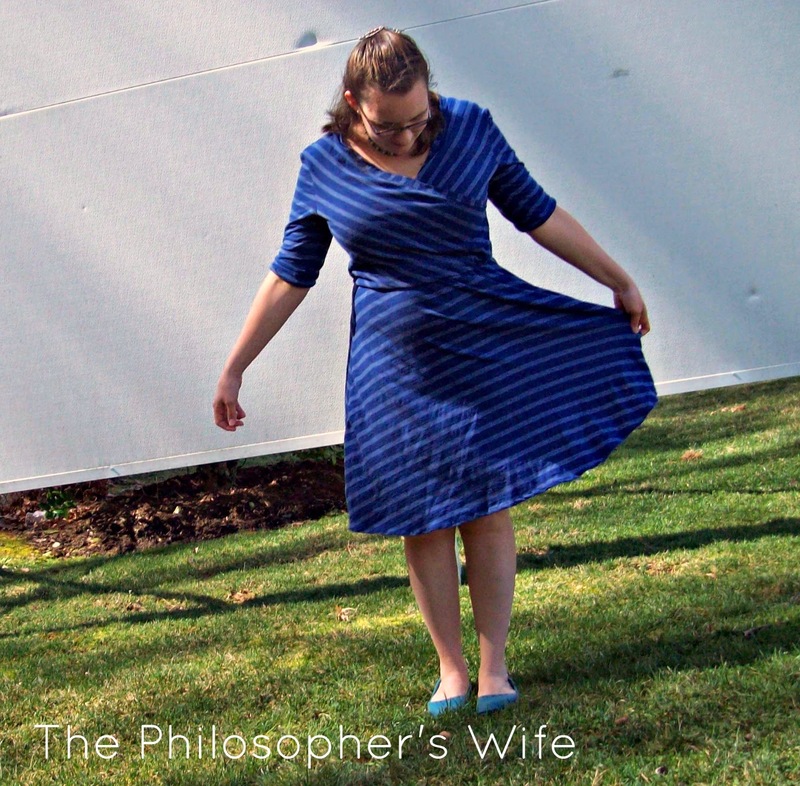 Blue Stripes Knit Dress by The Philosopher's Wife. Theresa, thanks to you and Linda for the party. Have a great weekend! Thanks for sharing, Beverly!! Special weekend wishes for you,as well!